The product I purchased was very reasonably priced and of good quality. It arrived in a timely manner and I was completely satisfied. Love this seller!!! Amazing specials! Love the emails! More than happy with product and service received. Nice to have good customer service in this day and age. Have already shared your details with facebook friends and recommended your company. 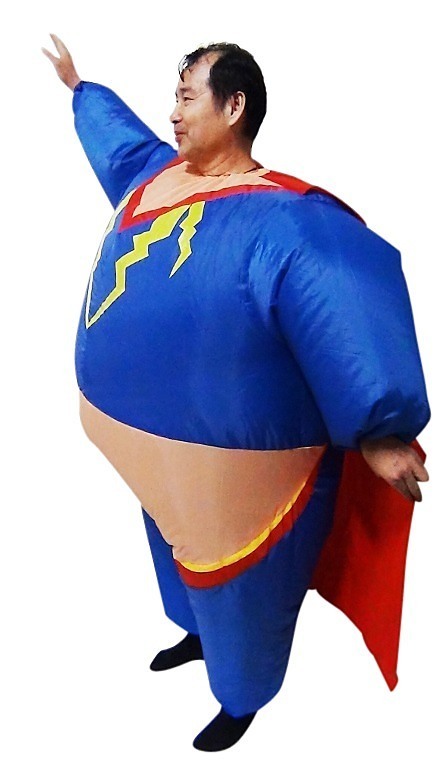 Make an entrance and save the day with our inflatable fan operated super hero costume! 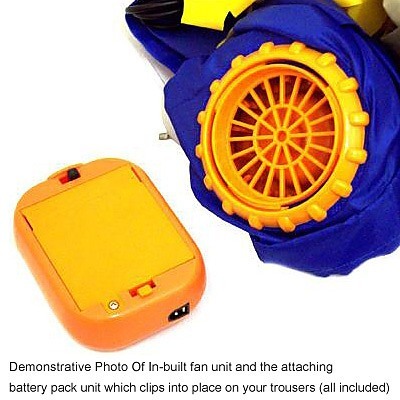 Made from a light polyester material called terylene, this durable yet comfortable suit keeps you cool and inflated for hours with a compact fan powered by a battery pack that clips onto your clothes under the costume. 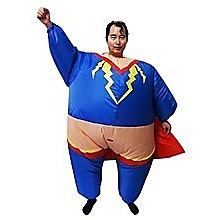 Extremely light weight and one-size-fits-all, the costume is air sealed at the neck, leg, and arms, all the while being easily foldable for storage purposes. We have partnered with Australia’s leading courier company Toll IPEC, and the corporate division of Australia Post (eParcel) to ensure fast, safe and efficient shipping right around Australia. For larger items which need to be sent via courier a street address is mandatory. Rest assured that we will use the most efficient one depending on the product and your area. Through our strong delivery partner relationships we can deliver to your home, workplace, PO Box – even if you're rural / regional based. For peace of mind, all items are covered with full postage insurance and a tracking number. We accept payment via PayPal, BPAY, Visa, MasterCard and Money Order. FactoryFast.com.au endeavours to provide our shoppers with a pleasant online shopping experience. Believe it or not, Christmas is only a few months away now – and what better way is there to celebrate than with a fancy dress party? Our Santa Fancy Dress Inflatable Suit is ideal for parties such as these. Constructed from a lightweight polyester, and inflatable by a fan that’s so small you’ll .. When it comes to fancy dress, sometimes you have to take that extra step to get noticed at the party. 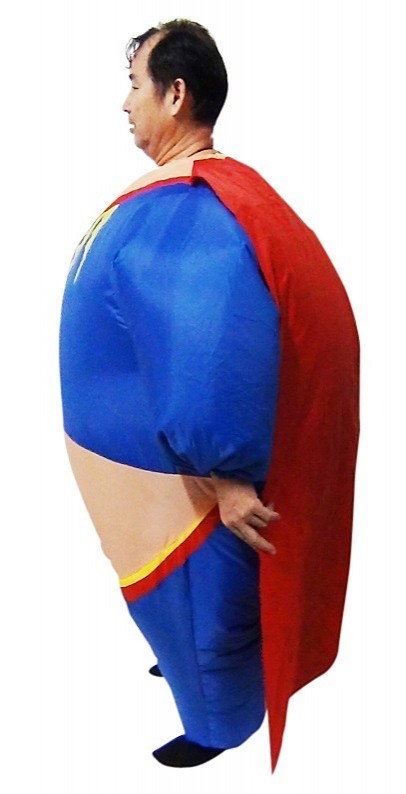 Our Inflatable Fan-Operated Green Fancy Dress Costume is perfect for doing just that. It’s one-size-fits-all for adults – which means that everyone can inject a bit of fun into proceedings – and .. Delight your friends at a holiday gathering or masquerade party with this big yellow Banana Costume. Everyone is sure to find this deluxe banana costume appealing! 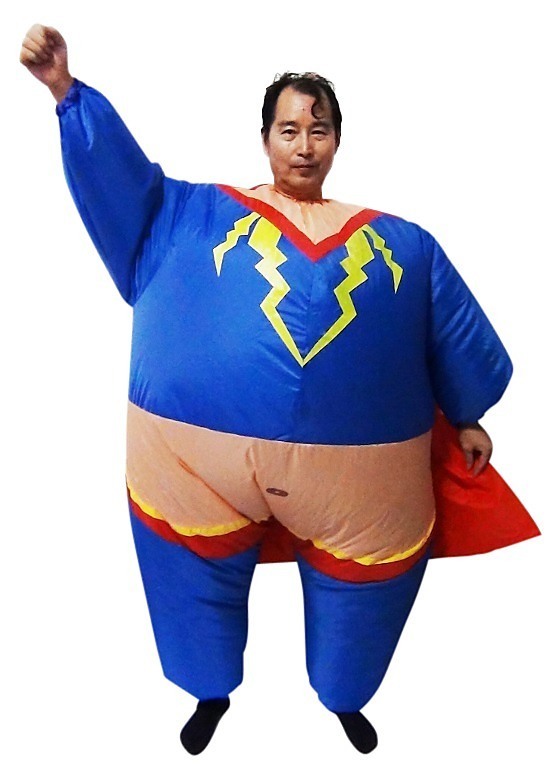 The funny adult costume includes a bright yellow banana suit made from poly foam. It has a 3-D appearance with both the top and .. Delight your friends at a holiday gathering or masquerade party with this hilarious Whoopie Cushion costume. Your favourite gag comes to life! The comical Whoopie Cushion costume is a one piece outfit made from poly foam. The top is open above the head and there is a large cut out for the face an..